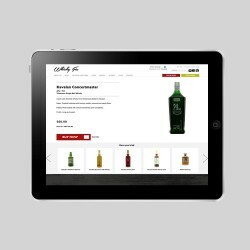 We designed and built a lovely little ecommerce website for Whisky Fix in Oban. Whisky Fix has unbeatable prices for the finest and rarest Single Malt Scotch Whisky from distilleries across Scotland. Whisky Fix is a lovely company specialising in Single Malt Scotch Whisky, located on the West Coast of Scotland. As well as being in a beautiful part of the world, they are strategically positioned in a location where every Scottish distillery is only a short trip away! This means they have grown up in and around the Whisky industry, creating a wealth of knowledge and inspiring great passion for the products they offer. 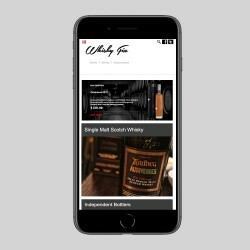 They aim to offer a pleasurable, efficient and informed online shopping experience for Whisky lovers, connoisseurs and collectors alike. Working closely with their distillery partners they will continue to offer very rare and collectable Whisky along with your everyday Whisky needs. So if you have been looking for a certain bottle to complete that collection, get in touch with them now, you never know.